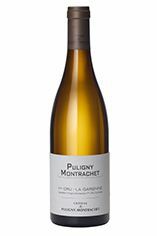 The Château de Puligny team have made an intense, tightly wound Premier Cru from La Garenne, an upper hillside vineyard which always maintains its minerality. This wine has a beautifully fine persistent finish. Decanter - Firm apricot and apple nose, quite oaky. Broad and weighty without being heavy-handed; concentrated, with lots of extract and a nutty finish, showing a welcome austerity that's rare in 2009. Château de Puligny was a slumbering force until it was finally awoken by the arrival of Etienne de Montille in time to oversee the 2001 vintage. Under Etienne, yields have been drastically reduced and the wines are handled much more sympathetically in the cellar so that the quality of the fruit dominates the oak. In 2012 Étienne and investors purchased the property and have radically reformed the estate, dropping unsuitable vineyards, converting to organic (and indeed biodynamic) farming, and further improving the winemaking. 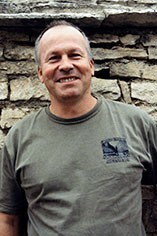 Etienne also makes the wines at his family's domaine in Volnay, where a lighter touch is also in evidence in recent vintages. Puligny needs more Premiership performers, and Château de Puligny has already established its credentials as an elite respresentative.